Stock market news today, April 25, 2014: Good morning. Today could be a tough day for markets. Violence in Ukraine has escalated, triggering concerns that Russia may invade the nation in the coming days. Following the killing of pro-Moscow rebels by Ukrainian soldiers, Russia has begun war games along the border. The story had taken a back seat to the U.S. earnings calendar this week, but the threat of violence and increased geopolitical tension could buffer the markets' recent rally. Aside from the conflict in Ukraine, here are the five stories you need to know in the stock market today to make your Friday profitable. 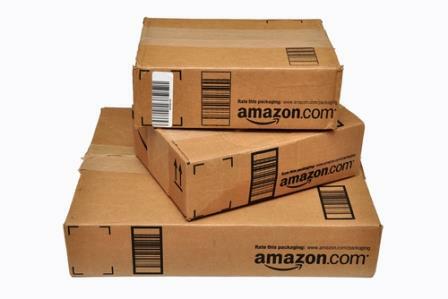 Amazon.com Earnings: Though the company ramped up spending on content, technology, and storage facilities, Amazon.com Inc. (Nasdaq: AMZN) beat analyst revenue expectations by jumping 23% in the first quarter. After this week's mega-deal with HBO, the company aims to justify its price increase in its prime membership. Money Morning Chief Investment Strategist Keith Fitz-Gerald called this earnings beat a "No Big Surprises" report. The debate on the street continues to swell on whether the company should purchase Sears Holding Co. (Nasdaq: SHLD), though Amazon has not hinted any intention to do so. Another Russian Downgrade: Standard & Poor's has downgraded Russian debt to one step above junk, or a level BBB-. According to its decision statement, the ratings agency is highly worried about the substantial level of capital outflows from Russia's economy in the first quarter of 2014. S&P says the outflows "heighten the risk of a marked deterioration in external financing." On concerns of higher inflation risks, Russia's central bank increased its key rate to 7.5% from 7%. Merger Mania Is Big Business: It's April, and the global economy has already hit a heightened level of merger and acquisitions activity. Thomson Reuters reports the total value of global M&A deals has surpassed $1 trillion – only the third time the value has been that high since 1980. Aside from the mega deals in the healthcare sector, the biggest winner from this news has been investment bank Goldman Sachs (NYSE: GS). The bank has engaged in more than $72 billion in deals this year. Banks Behaving Badly: Following its investigation of banks to settle bad bonds backed by home loans, U.S. prosecutors want to collect more than $13 billion from Bank of America Corp. (NYSE: BAC). The massive settlement would come on top of the bank's $9.5 billion settlement with the Federal Housing Finance Agency. Bubble…What Bubble: Yesterday, famed investor Warren Buffett rejected hedge fund manager David Einhorn's projection that "we are witnessing our second tech bubble in 15 years." Although indices are near all-time highs, Buffett said the current investment mood reflects a "range of reasonableness." Still, Buffett said, he would avoid certain technology IPOs at lofty valuation levels. Consensus earnings per share for Ford Motor Co. (NYSE: F) is $0.32. Consensus earnings per share for Colgate-Palmolive Co. (NYSE: CL) is $0.68. Consensus earnings per share for Covidien Plc. (COV) is $0.95. Consensus earnings per share for State Street Corp. (NYSE: STT) is $1.00. Consensus earnings per share for Burger King Worldwide Inc. (NYSE: BKW) is $0.19. Consensus earnings per share for V.F. Corp. (NYSE: VFC) is $0.64. Consensus earnings per share for American Electric Power Company Inc. (NYSE: AEP) is $0.91. Consensus earnings per share for Aon Plc. (NYSE: AON) is $1.17. Consensus earnings per share for Tyco International Ltd. (NYSE: TYC) is $0.40. Consensus earnings per share for Ventas Inc. (NYSE: VTR) is $1.07. Consensus earnings per share for Moody's Corp. (NYSE: MCO) is $0.90. Consensus earnings per share for Weyerhaeuser Co. (NYSE: WY) is $0.24.